EXO's Lay set to make drama debut in Chinese drama "To Be A Better Man"
EXO’s Lay ventures into acting as he is confirmed to make a special appearance in an upcoming Chinese drama. On August 18th, the casting was confirmed as Lay was featured in the promotional character posters as a special character in the drama, To Be A Better Man. 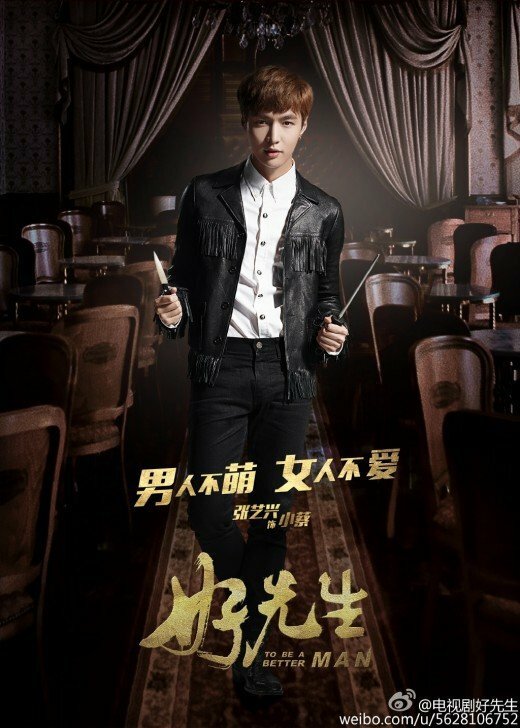 The poster featured Lay in full character producing an intense vibe while styled in black, leather jacket as he holds up two weapons. As the character is far different from the image he portrays he onstage, a number of fans have expressed their expectations for his first starring drama role. Meanwhile, in addition to his new role, Lay is also actively promoting with EXO as they appear in various entertainment programs and public events in South Korea and China. Incredible x Tablo x Jinusean take over the charts with "Oppa's Car"